HPS Hose Clamp - Worm Gear UNIVERSAL - Dezod Motorsports Inc - Home of the automotive performance enthusiast since 2002. HPS Stainless Steel Miniature Hose Clamps are commonly used in small diameter applications such as air & fuel lines, installation in tight fitting or difficult to reach areas. The stainless steel material is ideal to be used in outdoor, fresh water and mildly corrosive applications. 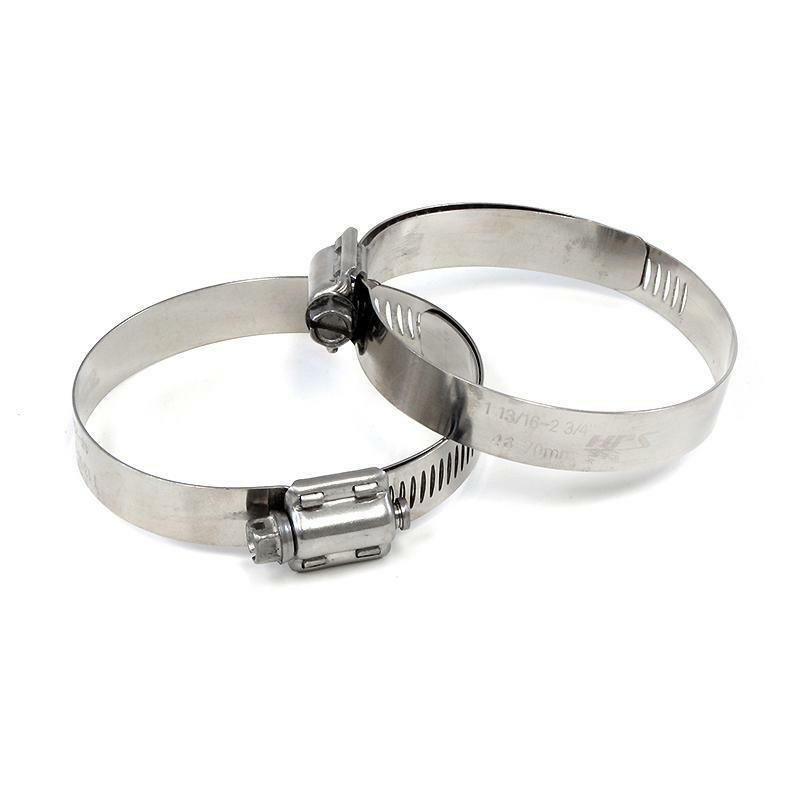 HPS Stainless Steel Worm Gear Hose Clamps features four piece heavy duty industrial grade quadra-lock design allows more tightening torque compare to other aftermarket clamps. The HPS stainless steel worm gear hose clamps are ideal for aircraft, heavy-duty industrial applications as well as outdoor, fresh water and mildly corrosive applications. HPS Stainless Steel Worm Gear Liner Hose Clamps features four piece heavy duty industrial grade quad-lock design allows more tightening torque compare to other aftermarket clamps. These HPS liner hose clamps features an inner protective sleeve which can prevent the damage of the silicone hose and delivers maximum protection and concentric seal to soft hoses. The HPS stainless steel worm gear liner hose clamps are ideal for aircraft, heavy-duty industrial applications as well as outdoor, fresh water and mildly corrosive applications.